A trusted employee steals money from your small business. As a business owner, you need to be aware of embezzlement and how to protect your business from potential embezzlers, because it happens more often than you would like to think. According to the Bero Group, over half of the victimized businesses don't recover the money taken by embezzlers, and embezzlement often results in business bankruptcy. 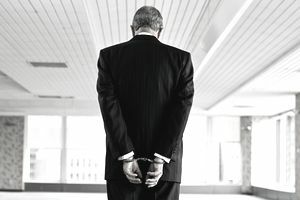 Fortunately, the more you understand about embezzlement, the easier it is to recognize the signs and take steps to keep your company's financial assets secure. Embezzlement, also known as employee theft, is the act of someone wrongfully appropriating funds that have been entrusted to their care but which are owned by someone else. The most common embezzlement is by employees, but others with fiduciary responsibility can also be charged with embezzlement. Embezzlement is a specific type of fraud, which is defined as a "knowing misrepresentation of the truth or concealment of a material fact to induce another to act to his or her detriment." For example, accounting embezzlement is the manipulation of accounting records to hide the theft of funds. Embezzlement can be prosecuted as criminal fraud or civil fraud. In the case of civil fraud, the employer can bring a lawsuit against the employee. What Are the Factors in Embezzlement? A fiduciary relationship must exist between the two parties; that is, there must be a relationship of trust, responsibility for taking care of the asset (money or property, for example), and reliance by one party on the other. The defendant must have acquired the property through the relationship, rather than in some other manner. It is sometimes difficult to prove, particularly in the case of embezzlement of cash from a bar, for example. The defendant must have taken ownership of the property or transferred the property to someone else (called conveyance). The defendant's actions were intentional. It is also sometimes difficult to prove intent. The penalties depend upon the amount stolen. If convicted, the embezzler may receive a fine, may be required to do restitution (give back the money). In some cases a prison sentence might be imposed as well. Examples of embezzlement include the bank teller who pockets deposits, the bookkeeper who takes customer refunds for himself, the attorney who uses the funds in an escrow account for herself, and the payroll clerk who doesn't deposit the correct amount of employment tax, keeping the rest for himself. Embezzlement is apparently common in the recycling industry. Rick Leblanc, Recycling Expert, writes of a case in which an employee was embezzling by overpaying a scrap metal collector for metal scrap (and, apparently, sharing in the ill-gotten gains). Employees in retail businesses have a habit of walking off with merchandise. It is employee theft, and it's called "shrinkage" in the industry. Another common retail employee theft is gift cards. They are easy to put in your pocket and walk away with them. Of course, computer fraud by employees has many facets, many of which involve a fraudulent transfer of funds by an employee. How Does a Business Protect Itself From Theft or Embezzlement? Focus on employees who have fiduciary responsibilities, like those in your payroll department, accounts receivable, accounts payable, and those who reconcile bank statements. These are the people most likely to embezzle. Focus on cash transactions. Require that all cash transactions be recorded, as much as possible. To prevent employee theft, keep valuable items such as inventory and expensive supplies locked up in a secure location, limit access to them, and take inventory on a regular, periodic basis. This article discusses the 5 steps an employer should take to prevent employee theft and embezzlement.